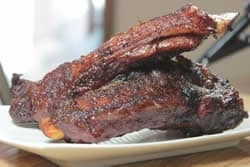 Smoked beef back ribs are not extremely meaty like most pork ribs but, I think they reign supreme in terms of flavor. Cut from the prime rib, all that tasty fat is present to help the ribs stay moist and to give them tons of flavor. 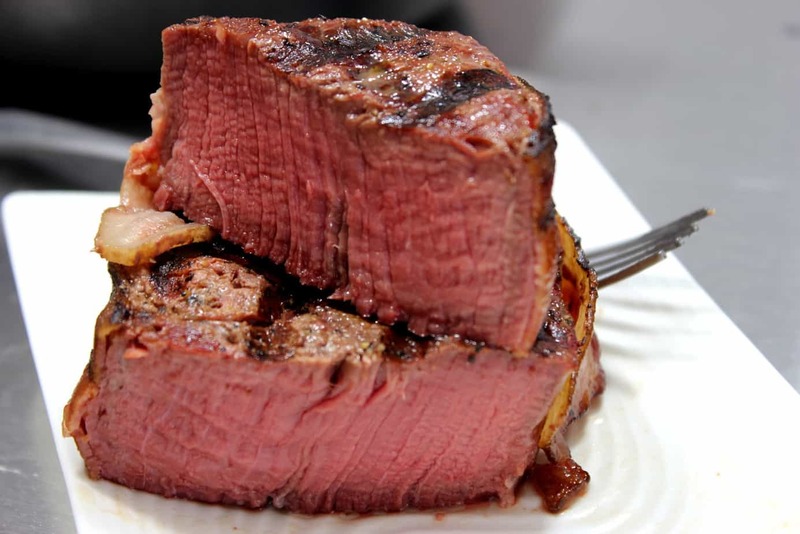 By cooking them low and slow, a lot of that fat will melt away leaving the meat extremely delicious and tender. 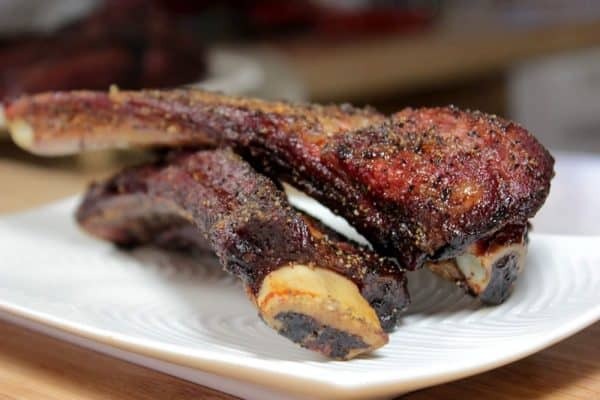 In this recipe, I use my rub as it is is to give the meat a nice sweet and spicy crust but I also show you how to modify my rub recipe to remove the “sweet” component and create that “Texas style” flavor. With a couple of amazing options, you'll be creating beefy fare fit for a king with this one! 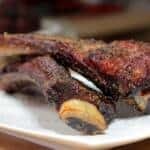 My rub is great on beef just like it is (according to myself and many others) however, if you like the “Texas style” rub experience, I'll show you how to modify my rub slightly to remove the sweetness and still keep all that great savory goodness that compliments these beef back ribs so well. I purchased some of the ribs already cut up and 1 whole slab so you could see each one. 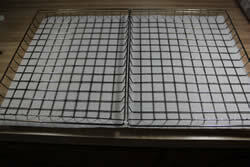 The ones already cut up where slightly more expensive than the slab and the membrane was not removed. I'd rather buy the slab and prepare them myself personally. If you get the ones already cut up, you may have to use them as they are unless you want to take the time to remove the membrane from each individual piece. Use your finger to get the membrane loose somewhere in the center of the slab. Continue to work your fingers/hand under it to loosen it. Some folks use a sharp object but I tend to do better with my hands. Find whatever works for you and you'll have the perfect tool for you. A little patience and some practice and you'll be doing this like a pro. By starting in the center, once you have a good grip and are able to pull up on it, it starts coming loose from both ends at once. At any rate, do the best you can and don't make it a life or death situation. If you can can't get it, it won't be the end of the world to leave it on there. Once the membrane is removed (or you give up), cut the slab up into individual bones. Try to cut right in between the bones leaving meat on both side of each bone. Place the cut up ribs into a bowl or container meat side up. Brush on a little olive oil to help the rub to stick better. 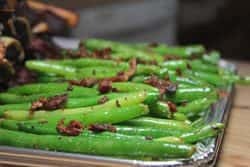 You will notice below that some of them are made using my Texas style rub recipe which is one of the rub recipes that you get when you purchase the recipes. 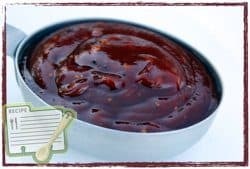 My personal favorite is the original rub which gives the ribs a little sweet and spicy kick that is not overpowering but compliments the beef flavor perfectly. Place lids or covers on the containers and place the ribs in the fridge for about 2 hours. This is plenty of time to allow the salt in the rub to draw the juices to the outside of the meat where it can mix with the rub and be drawn back into the meat. 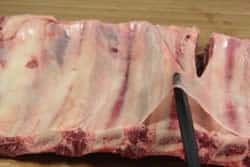 After 2 hours remove the ribs from the fridge, remove the lids/covers and allow the ribs to sit out for about 30 minutes before placing them in the smoker. 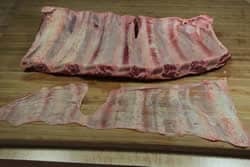 Tip: to save time, remove the ribs from the fridge after 1.5 hours and let them sit on the counter for the last 3o minutes. 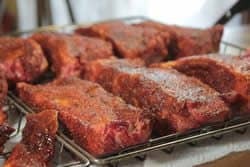 Arrange the ribs on a Bradley Rack or you can take just wait and take them out to the smoker as they are so you can arrange them on the smoker grate. 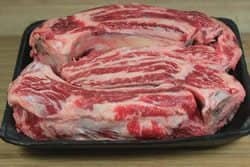 Here's a closeup of those Texas style beef back ribs.. does that look good or what! 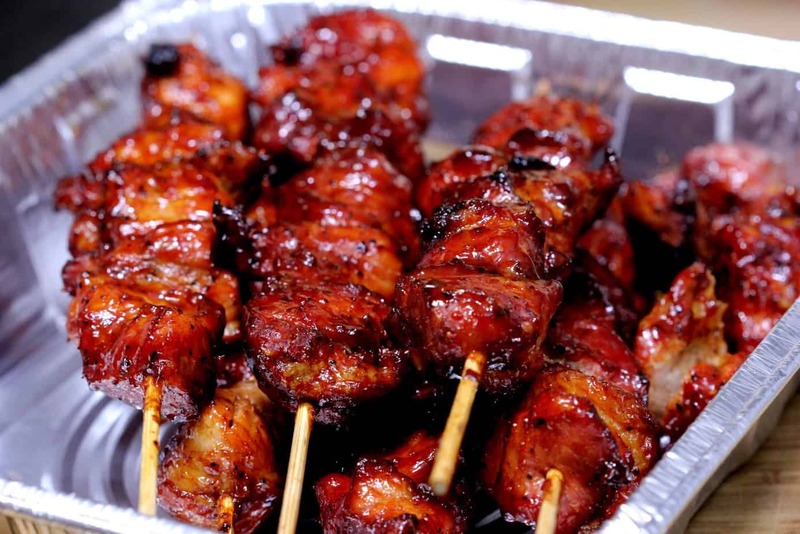 And the ones rubbed with my sweet and spicy rub recipe..
Ok.. enough salivating! Let's get these in the smoker. 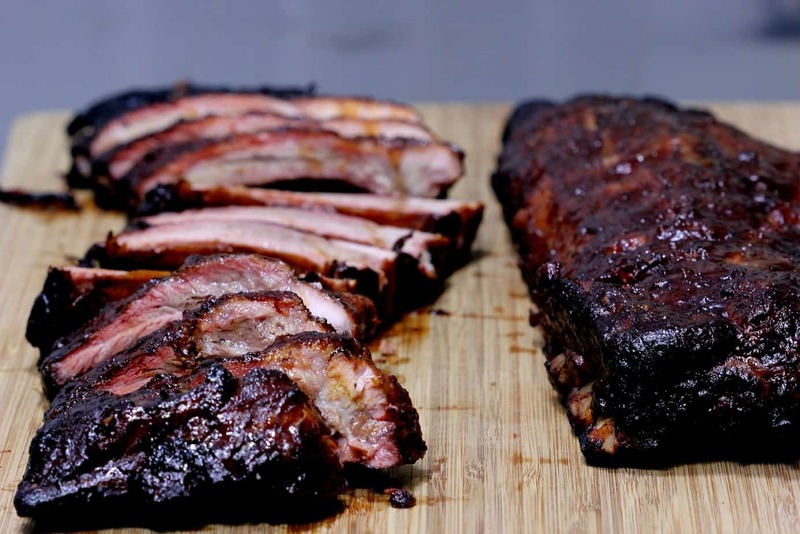 While the ribs are sitting on the counter, it's a great time to get your smoker going and up to temperature. 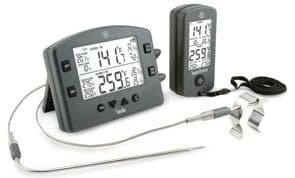 These will do well in almost any smoker including charcoal, electric, gas or wood as long as you maintain the temperature and keep the smoke going for at least 3 hours. 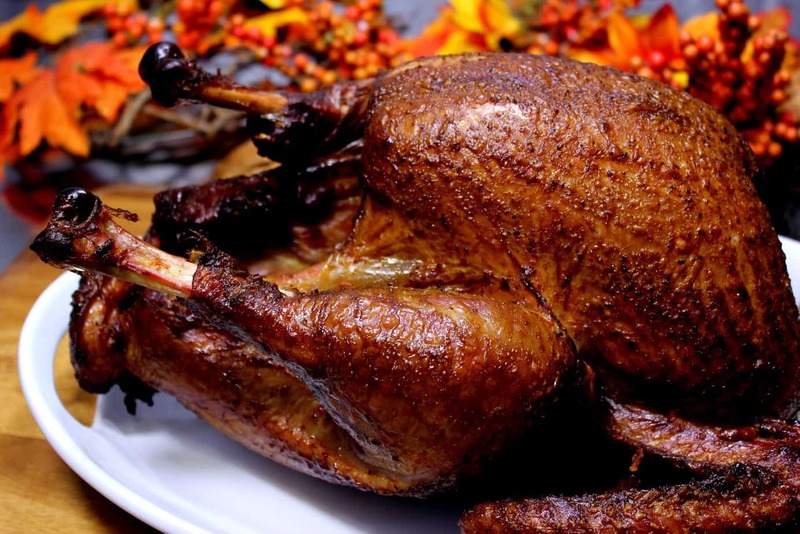 Get your smoker going and make sure you have plenty of smoking wood. I recommend oak and/or pecan if you have it. I used a mix of red oak and pecan since that's what I had available. If you have a water pan, use it. 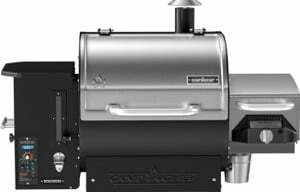 Once the smoker is ready, you are ready to get the meat to cooking. I used the Bradley Racks and simply set them on the rack of my large wood smoker. I highly recommend these racks if they will fit in your particular smoker. The dimensions are 11 x 15 if you are interested in checking into these. If you don't have these racks, simply place the ribs directly on the smoker grate boney side down. 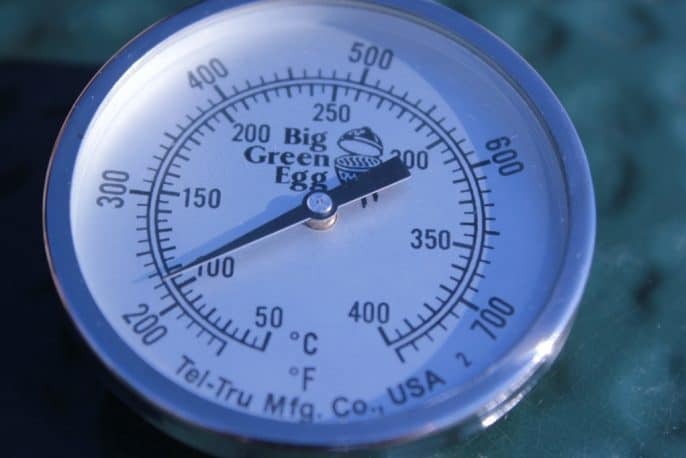 Keep the heat at about 225°F since you want to cook these low and slow to allow the tough fibers to tenderize. The long cook time will also do a good job of melting a lot of that fat. 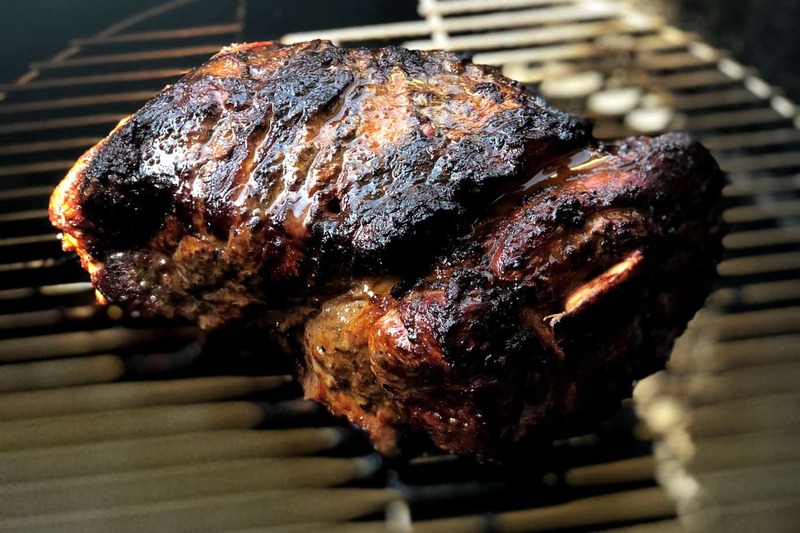 If you are using an electric, gas or charcoal smoker, keep the smoke going for about 3 hours. 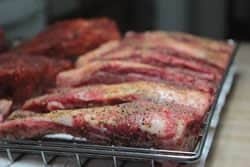 The ribs will usually take 4-5 hours to get tender enough but it will depend on how well you maintain the temperature in your smoker, what the meat temperature was when they started cooking and how often you open the door or lid on your smoker. The ultimate goal is for the ribs to get tender. Forget about the temperature and don't remove them until they get tender. To test for tenderness, just grab one and take a bite. They're not done until they are as tender as you like them. This usually happens for me when they reach about 190-195°F but that may differ slightly for you. When they get done, serve them immediately. I recommend making plenty since they are not as meaty as pork ribs. 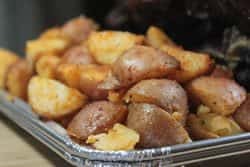 Quarter small potatoes and place them in a foil pan. When the oil is nice and hot, it is ready. Place the beans in the skillet and sauté. 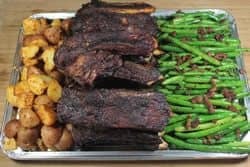 Tasty beef back ribs dry brined for a couple of hours then smoked until perfectly tender and smoky giving you the ultimate in beef flavor. 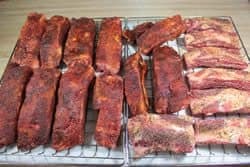 You mentioned to smoke beef ribs 3 hours and to cook for 4-6 hours …does it matter at what point of cooking I apple the smoke to them?..A newbie smoker and don’t want to screw this up for my quests.. I have followed you and your advise on smoking for several years and by and large your information has been very helpful. 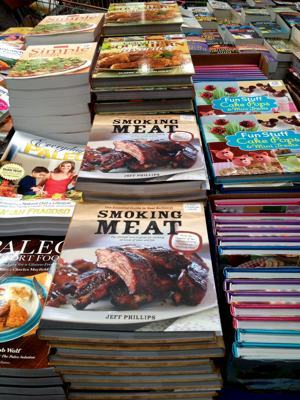 It has taught me and helped me explore to the point were I now consided myself a very self sufficient smoker. However, you should have keeped that beef rib recipe away from your reputation. I followed your recipe to the T. 4 hours after ignite I pulled a rib for tasting and 10 seconds later shut the smoker down. The small amount of meat was hardly worth while. And what there was of it was dry and salty and not worth the effort. Two racks and $20.00 later, I dumped the remaining ribs in the dumpster. 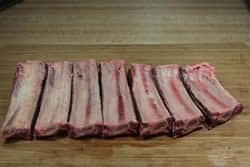 I’ve asked fellow smokers, since and about my failure and in general gotten laughed at for my attemting to smoke beef ribs. So……Whats this about? Am I trying to justify my screw up. I don’t think so. The recipe is simple and we did followed instructions as written. 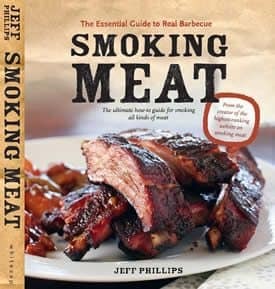 There are all sorts or food out there that are available for smoking and just maybe beef ribs are not one of them. You think? Let it go and keep your reputation. Carl, When I put out this newsletter back in April, I had a lot of folks emailing me telling me how good they were. 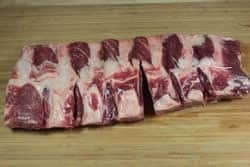 As I said in that newsletter, beef ribs will not have the thick meaty portions like pork ribs do, however, the meat that is there tastes amazing and with all the fat, it should be moist and extremely flavorful. I am not sure what you got ahold of, but it sounds like the ribs were the culprit rather than the recipe or method itself. I do understand how frustrating it is when you cook something and it just does not turn out the way that it should.. it can make you down right mad and I’ve been right there with you on a number of occasions. 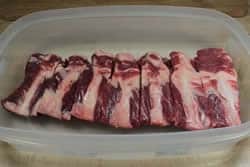 I have done beef ribs numerous times with good results. I suspect they had “bad ribs” or the heat was much higher than they thought it was…the flavor is always outstanding. This weekend we will smoke two batches of beef ribs with your rub and the Texas version to see the difference. I suspect we will like both of them. 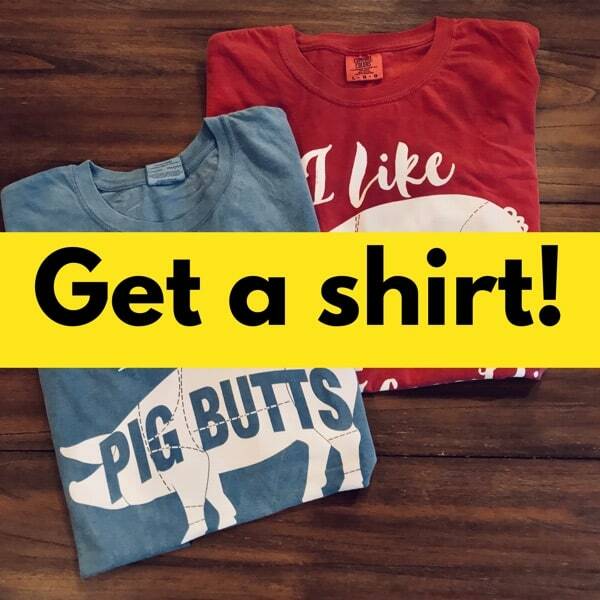 OK, hear me now and believe me later… this is coming from a bonified “cheapskate” who has subscribed to Jeff’s emails for about a year now and used my own rub for Jeff’s amazing recipes. 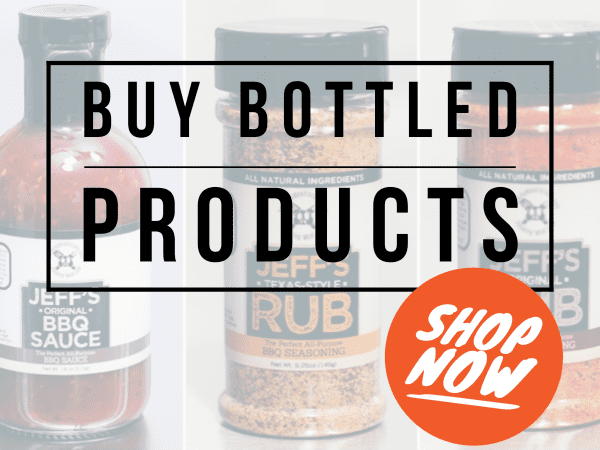 Until three weeks ago when I broke down and purchased Jeff’s rub. UNBELIEVABLE! What a difference! 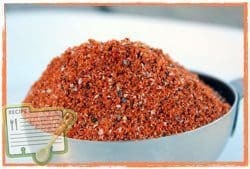 Jeff’s rub is incredible and what’s coming out of my smoker now is absolutely amazing. 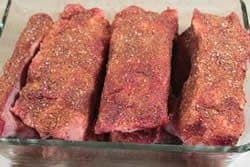 Here’s one more thought… I just re-heated the ribs I cooked THREE WEEKS AGO using Jeff’s rub and they were BETTER than the day we smoked them! Absolutely incredible! NOTE: I am NOT affiliated with Jeff in any way! I am a “newbie” who has just entered into the world of smoking and this stuff has changed my life! I’m an “empty nester” who now has time to appreciate great food, and smoking-meat.com has made me look forward to smoking on the weekends! THANKS JEFF! Jeff: I am new to smoking and last weekend I smoked some ribs. I used your rub and my water pan; smoked them for about 3 1/2 hours. I also wrapped them in foil the last hour of cooking but they came out very dry. What did I do wrong? I have a 15+ lb beef brisket I am smoking for Easter. Your book says that will be about 22 hours in the smoker, if I cut it in half and essentially have two separate briskets can I reduce the cook time based on the new weights? I have a meat thermometer so I will know when it is done but need to know when to put them in so they are ready for dinner since the family will be ready and hungry around 4pm. Better late than never. Keep the brisket whole. Base your cook time on 1.25 hrs per lb. it’s done when the temp is right. 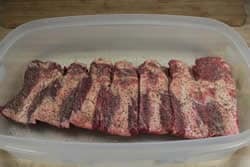 The beauty of a brisket is that you can wrap it in a double layer of foil, put it in a cooler, cover it well with a couple of towels, and keep it for a couple of hours if it is finished a little early. I use a masterbuilt, which allows me to add wood without opening the door. 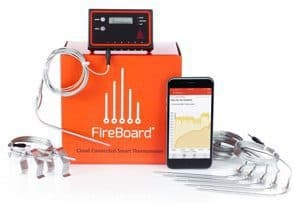 This is excellent, it helps to keep the temp Consistent!